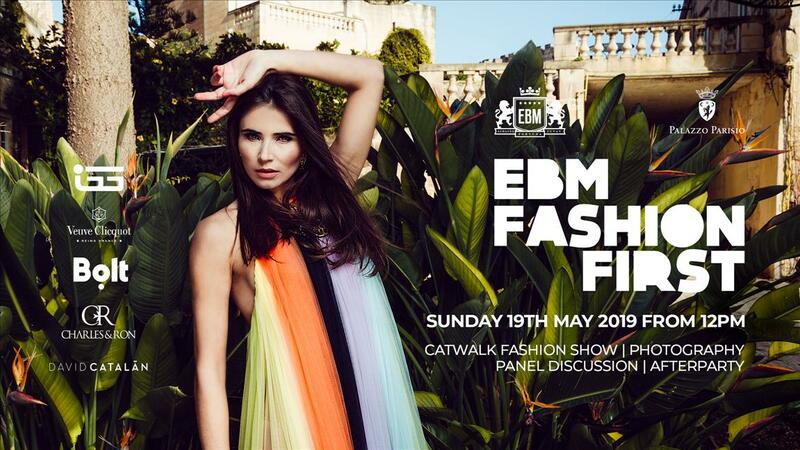 Combining fashion with an end of weekend party vibe, EBM Fashion First at Palazzo Parisio brings top Maltese contemporary lifestyle brand Charles & Ron, as well as Spanish fashion designer David Catalan, to the grounds of Palazzo Parisio in Naxxar to show their latest collections for the Spring/Summer 2019 season. The day will feature a variety of activities, including a panel discussion with some of the industry's leading figures, a catwalk fashion show, photography exhibition, lunch sittings and an after party in the gardens of the 18th century palace. Like our parties? Like our page on Facebook!